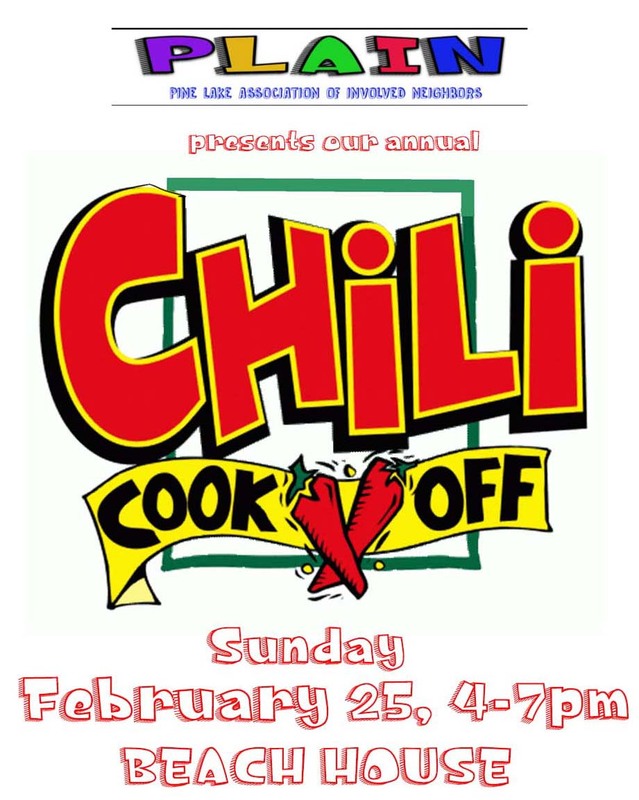 Join us for PLAIN’s annual chili cook off! Bring your best recipe for entry and a chance at fabulous prizes, and the coveted GOLDEN SPOON AWARD! Free for those submitting an entry, $5 if you’re just bringing your appetite. Pro tip: cupcake tins make excellent tasting bowls, allowing for side by side judging/slurping. New this year: Bring some extra cash, as we’ll have a small selection of beer and perhaps wine to go with the lovely chili/soup contributions.